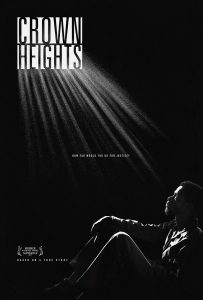 “Crown Heights” (2017). Cast: Lakeith Stanfield, Nnamdi Asomugha, Natalie Paul, Bill Camp, Luke Forbes, Adriane Lenox, Zach Grenier, Josh Pais, Skylan Brooks, Nestor Carbonell, Armand Schultz. Director: Matt Ruskin. Screenplay: Matt Ruskin. Web site. Trailer. Seeking justice is sometimes an unbelievably slow and difficult process. Bureaucratic procedures, sloppy investigative work and officials unwilling to admit making mistakes all contribute to needlessly complicating matters. The frustration can be exasperating for everyone involved, especially those who have been wrongfully convicted. 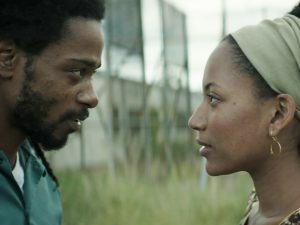 Such is the case in the fact-based biographical drama “Crown Heights,” now available on DVD and video on demand. Once behind bars, Warner had trouble adjusting to his surroundings, frequently having run-ins with brutal, harassing guards. One such encounter even landed him in solitary confinement for two years. It seemed like he would never escape his circumstances. That was not for a want of trying, though; appeals were launched on his behalf, but they were dismissed or bungled by inept, ill-prepared attorneys. That kind of certainty comes from firmly held beliefs that the desired outcome will emerge, the cornerstone of the conscious creation process, the means by which our reality arises. For Colin and his supporters, the utterly preposterous result that came from his prosecution caused them, at a very deep level, to have no other belief than the fact that it eventually would be overturned and that justice would be served. Even though there were many times when it seemed that such a day would never come, Colin, Carl and Antoinette, among others, never lost sight of what they were seeking – and the beliefs that were driving it. This is where the power of faith in our beliefs comes to the fore. This is not faith in a traditional religious sense but, rather, an unshakable conviction in the validity and truth of what we’re convinced is an absolute capable of eventual manifestation. Were it not for that kind of faith, one can only imagine how Colin may have fared – and where he might be today. Of course, those skeptical about the veracity of conscious creation nearly always look at situations like this and wonder, why would anyone seek to materialize such horrendous circumstances in the first place? And, to be sure, that’s an argument that would seem to have some merit. But the answer is not quite so simple. In all of our conscious creation undertakings, our reasons ultimately are our own (and not really anybody’s business to question). Yet, for better or worse, in many of these endeavors, we often seek to manifest conditions that fulfill our desire to experience certain life lessons, no matter how enjoyable or unpleasant they ultimately may be. For instance, someone wishing to experience the plight of injustice would almost assuredly create circumstances not unlike those displayed here. Manifestations like these truly serve to drive it home with pointed, inescapable fidelity. That, of course, raises another question – why would anyone want to experience something like the perils of injustice? Again, the specific reasons vary from person to person, but sometimes going through such ordeals helps to draw sufficient attention to them that it prompts its victims to seek ways to prevent it from happening again, either to themselves or to others similarly situated. This kind of “metaphysical activism” can go a long way toward the abolition of such abhorrent circumstances, eventually transforming them into conceptions considered unthinkable. Colin’s experience is a prime example of this. 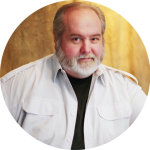 Having been wrongfully incarcerated for a crime in which he had no involvement, Colin has since gone on to become an advocate to fight for the justice of those who have gone through what he did. Just as erroneously convicted inmate Kenny Waters (Sam Rockwell) and his legal advocate sister Betty Anne (Hilary Swank) discovered in the fact-based drama “Conviction” (2010), the injustice of a false imprisonment is something we as a society cannot tolerate.  But sometimes the only way to fully appreciate the indignities of such experiences – and to subsequently seek their correction – is to go through them firsthand to see how dispiriting they are. It’s something not all of us are cut out for, but it’s a sacrifice to be commended – and one for which we should all be grateful. This overlooked gem from 2017 spent only a short time in theaters, but it’s well worth the viewing time. 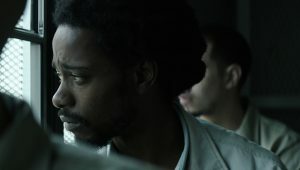 The heartfelt performances by Stanfield and Asomugha, who earned an Independent Spirit Award nomination for best supporting actor, are truly outstanding, effectively depicting the hope, determination, frustration and heartache that each of them endured. The film also captures the claustrophobic feeling of incarceration, as well as the deplorable, demoralizing conditions of prison life, a true hell for anyone but especially so for the falsely convicted – of whom, the film pointedly notes, there are more than 120,000 such individuals who are mistakenly behind bars in the U.S. today. When justice is elusive, there may be a natural tendency to lash out and seek retribution at almost any cost, an outcome that’s more vengeance than justice. But such rash measures seldom produce the hoped-for results, especially when up against a rigid, slow-moving system. By having faith that the truth will surface and persistently pursuing the means to elevate it from the depths of obscurity, it is possible to secure the prized results – even when they’re seemingly nowhere to be seen.